2017 — gouache, acrylic, collaged paper, and graphite on mixed media assemblage — 9 1/2 x 37 1/2 x 1 1/8 in. 2016 — gouache, acrylic, and collage on wood panel — 18 1/4 x 24 1/8 in. 2016 — gouache and collaged paper — 24 1/2 x 11 3/4 in. 2017 — gouache and acrylic painting on mixed media assemblage — 40 x 11 1/4 x 1 1/4 in. “Cutting Garden,” a solo show of paintings from 2016-17 at Whittier College’s Greenleaf Gallery, Whittier, CA. All of the paintings were hung vertically. 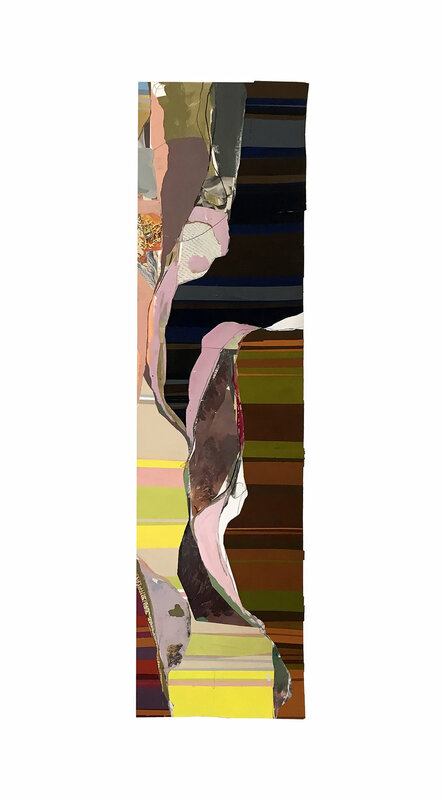 Some works in this series have since been reconsidered as horizontal compositions. 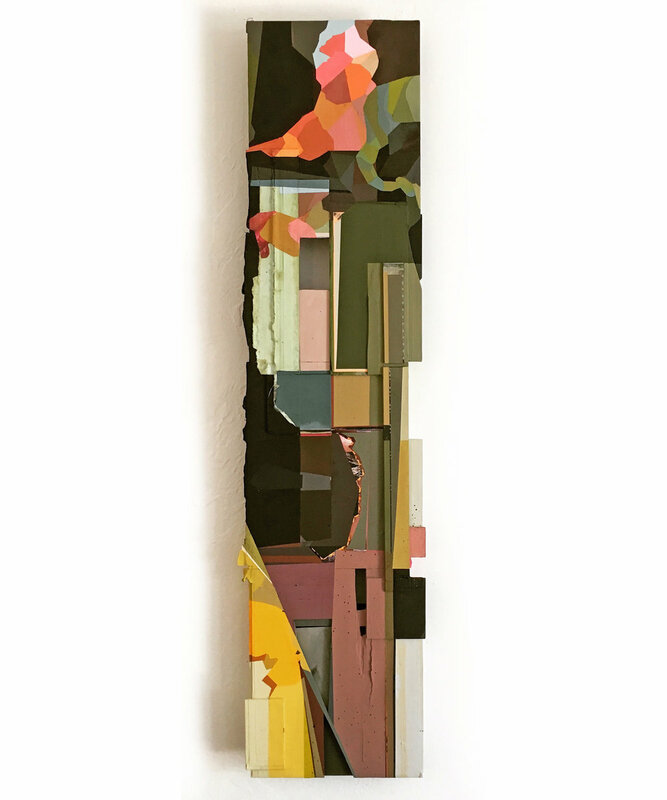 2017 — gouache, acrylic, and graphite on mixed media assemblage — 47 3/4 x 11 3/4 x 2 in. 2016 — gouache, acrylic, collaged paper — 28 x 9 in. 2017 — gouache, acrylic, and graphite on mixed media assemblage — 23 x 11 3/4 x 2 1/2 in. 2016 — gouache, acrylic, collaged paper — 36 x 9 1/2 in. 2016 — gouache, acrylic, and collage — 35 1/2 x 9 in. 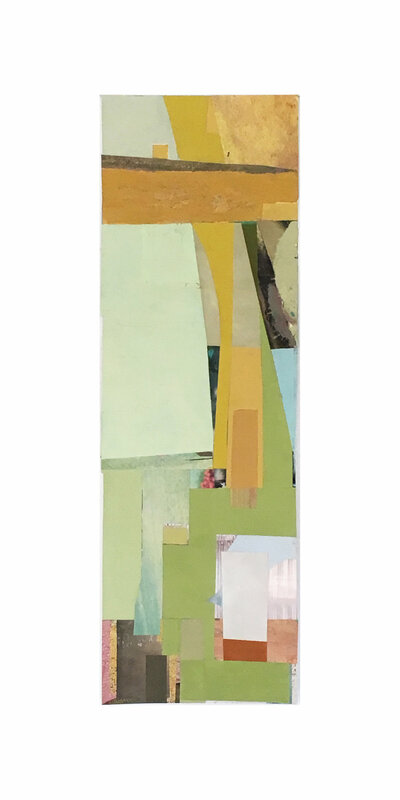 2016 — gouache and acrylic on mixed media assemblage — 37 3/4 x 10 3/4 x 1 3/4 in.